Blake Fitzpatrick has been one of the owners of Maple Leaf Construction Ltd. since 1977. As well, he is currently one of the owners of Mulder Construction and Materials Ltd. and Atkins Underground LP. Blake graduated from the University of Manitoba in 1975 with a Bachelor of Commerce (Honours) degree and has worked in the Manitoba construction industry his whole career. Blake has been an active member in a number of sports at both the participation and organization levels. At an early age he was both a coach and hockey convenor for the Fort Garry Hockey Association and The Wildwood Community Club. 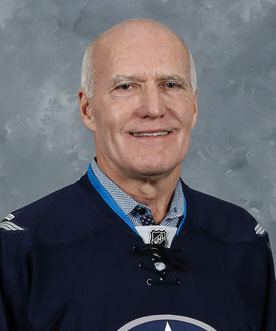 Blake has been a director of the Manitoba Sports Hall of Fame and Museum, and is currently on the Selection Committee. He was on the board of The Winnipeg Blue Bombers Football Club from 2000 to 2006. Blake has been an owner of the Saints Junior Hockey Club of the Manitoba Junior Hockey League since 2000. He has been a board member of the True North Youth Foundation (formerly the Manitoba Moose Yearling Foundation) since its inception in 1996.